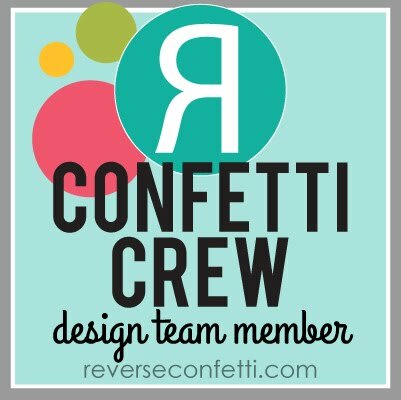 Well, we are on day three (the last day) of our most spectacular sneak peeks from REVERSE CONFETTI, and today will be no different in sharing some more great new products available tomorrow. Does anyone have a favorite set picked out? 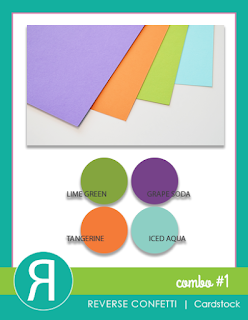 How about those new product lines (cardstock, ink, stencils and 6x6 paper pads, in case you're just now joining us!)? 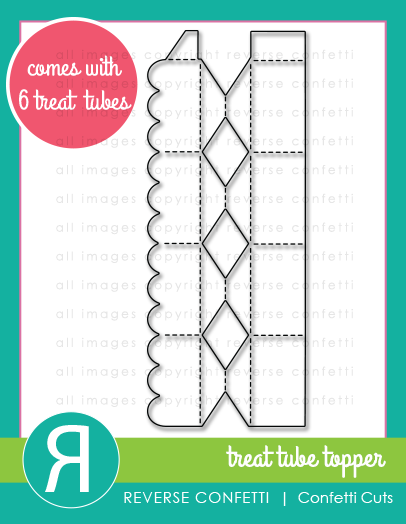 So what say we keep knocking your socks off today with the debut of the new TREAT TUBES & TOPPER Confetti Cuts!! This new set, TREAT TUBES & TOPPER is a fun Confetti Cuts die/clear box combo. The die comes with 6 tubes and additional packs of 6 tubes may be purchased separately. These make the perfect gift packaging for any number of holidays or gifts and are so so easy to make! I cut two of the toppers and embellished them with a little bit of paper from the new FRIGHT NIGHT 6X6 pad. 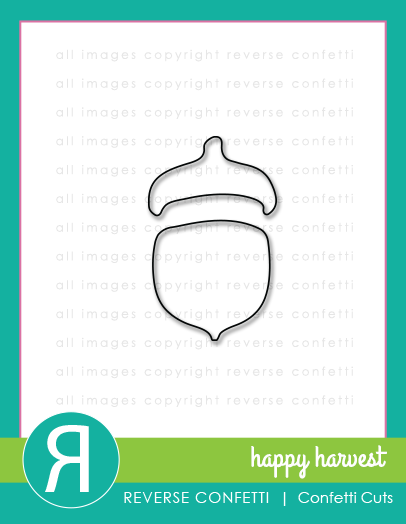 I made the matching tag by using the new WEB TAG LAYER as the fun background for my pumpkin that I made from the acorn (turned it upside down) from the HAPPY HARVEST Confetti Cuts die set. 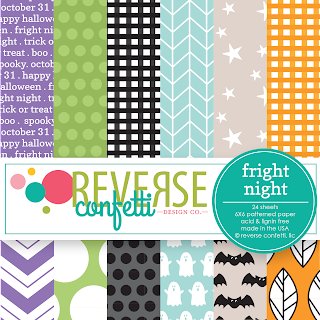 Then I added the cute Jack 'o Lantern face from the HALLOWEEN BITS Confetti Cuts set. 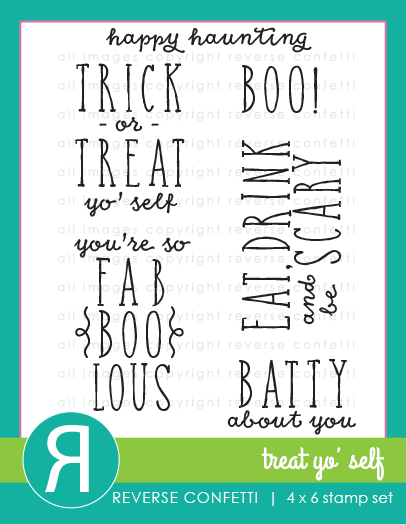 The sentiment is a perfect addition to my tag from the TREAT YO' SELF stamp set. I filled my tube with spooky spider rings, but what I really wanted to fill it with was candy corn! Okay, that's about all for me for now--Just so y'all know...everything will be available on the 8th--that's tomorrow! 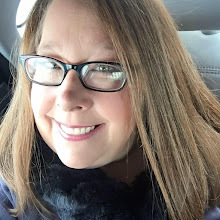 We'll wrap up with a blog hop that day as well that y'all won't want to miss. YAY! 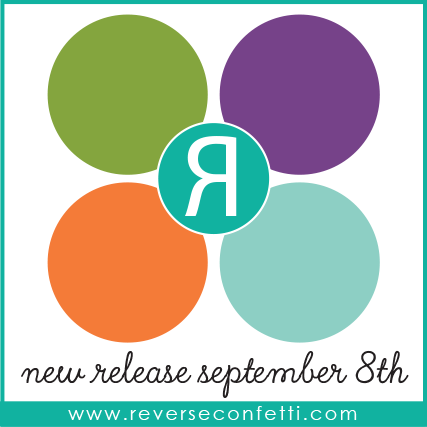 Meanwhile, don't forget that Jen has a link list for all the sneak peek days (September 5-7) over on the REVERSE CONFETTI blog HERE. 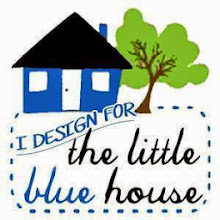 Leave a comment on each of the designer's blogs for a chance to win a $15 gift certificate. We're giving away 3 of them!! Comments will close at noon CST on SEPTEMBER 7th and the winner will be announced at 5pm on SEPTEMBER 7th on the Reverse Confetti Blog and our Facebook page. In addition to having a chance to win just by leaving a comment on the sneak peek posts, we are also running a Facebook promotion for a chance to win a $15 gift certificate. 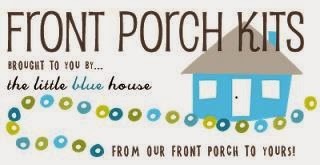 After you are done checking out the sneak peeks, head on over to OUR FACEBOOK PAGE and look for the promotional graphic. Beautiful!!! Love your accompanying tag!!! This is adorable! 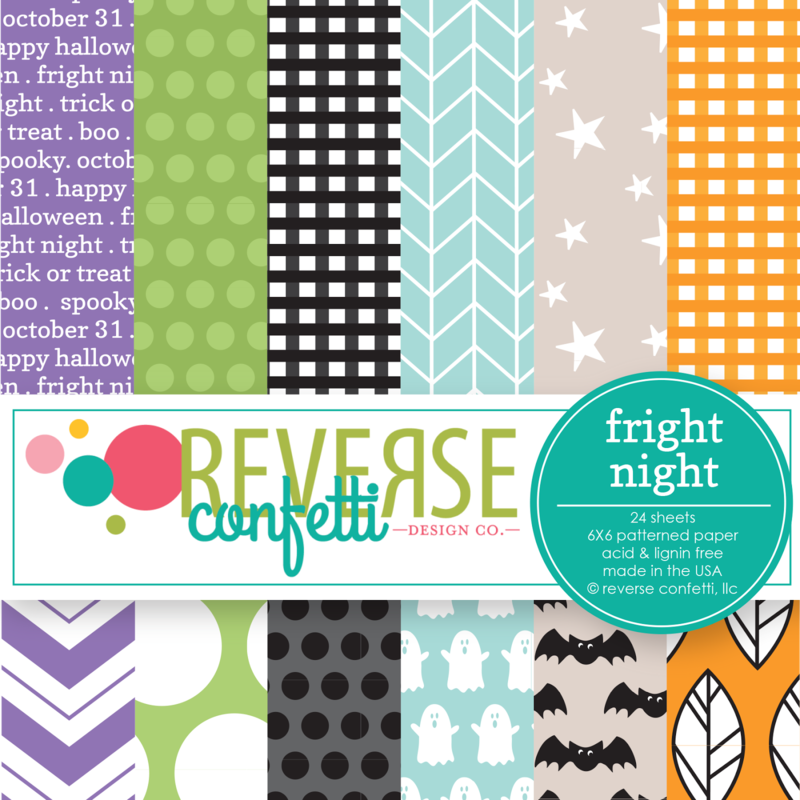 Really fun and colorful, and I LOVE the spider web tag idea! 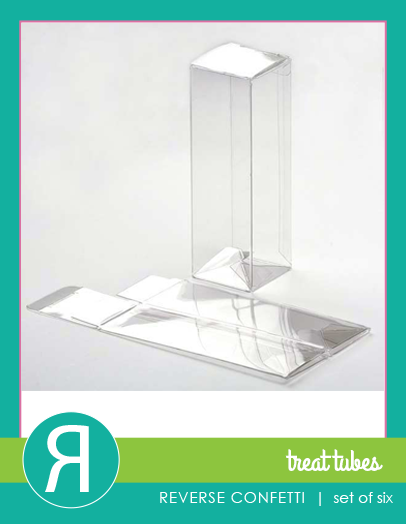 These treat tubes are such a fantastic item. I can see using them to make an advent calendar. Super fun, love how they're filled with spideys. Super cute treat box! Love the fun pumpkin tag! Fun creepy spiders! Love the tag and the colors. 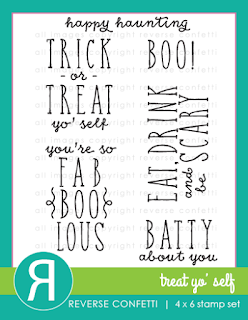 Love what you've done with this treat box...I love Halloween! 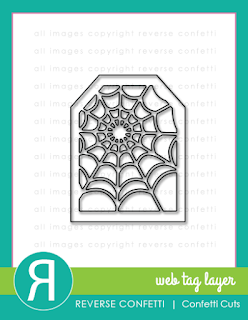 Love those spiders in the treat box. Yuck I hate spiders, lol. Nice for the kiddos though! Eek! Super cute and fun. Love your colors, patterns, and details. The possibilities are endless. Just love this new product release. Just wonderful. 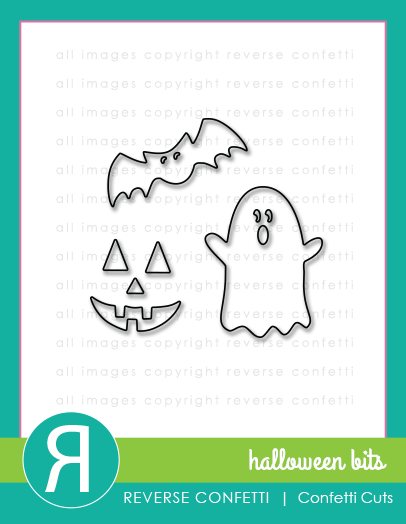 Fun Halloween tag and treat tube! 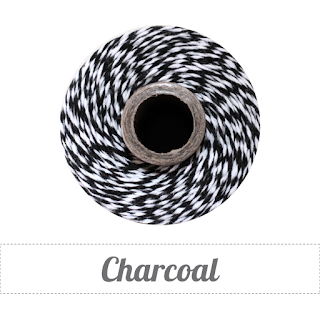 Love the web tag and pretty paper you used! I love it! So traditionally Halloween. Love the treat tube with the spiders (great for the Grands!)!! And the tag is just way tooooo cute! Love the vellum background! Hope we make this in class! Such fun and beautiful made projects. Very cute. I just love this treat tube, it's awesome! Completely smitten with your treat-and-tag ensemble! Cute AND classy! Love your version of the Treat Tube, and inspired use of Acorn as a pumpkin! Lots of fun! I see tricks with this treat.